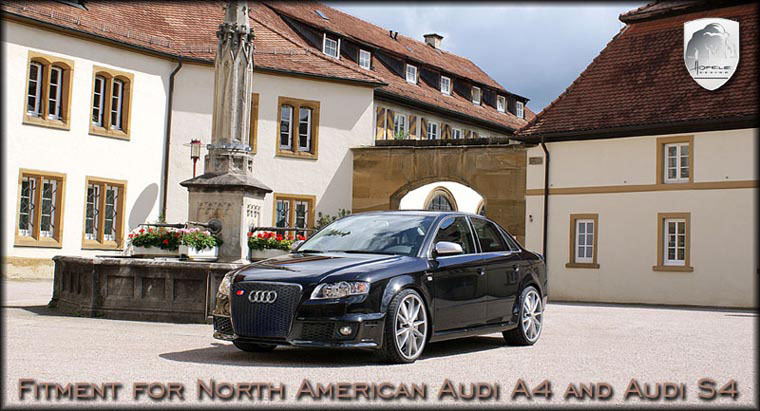 The Audi B7 8E was the 2006 model bump that some Audi enthusiasts couldn't make up their minds about. The skeptics cried out that it was a deception - that the previous model B6 was built on the 8E chassis also and so the B7 was some kind of cheap knockoff. That's never been true even when you talk about a facelift of a facelift. The front and rear bumper lines changed, the headlight, the taillights plus a thousand little engineering/design collaborations that never get listed in any sales brochure. The aftermarket designers loved it. 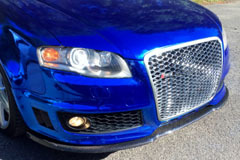 There was no need to start from scratch on the skirts or valences because the specs had already been dialed in. 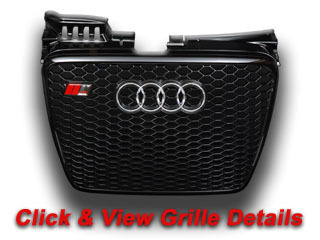 LLtek offers styling parts from six sources but the three strongest offerings come from Caractere, Rieger, and Hofele - and you can find aftermarket grilles for your Audi B7 at the links below. Enjoy! 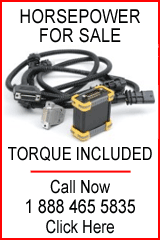 Call LLTeK today (toll-free in North America at 1 888 465 5835. 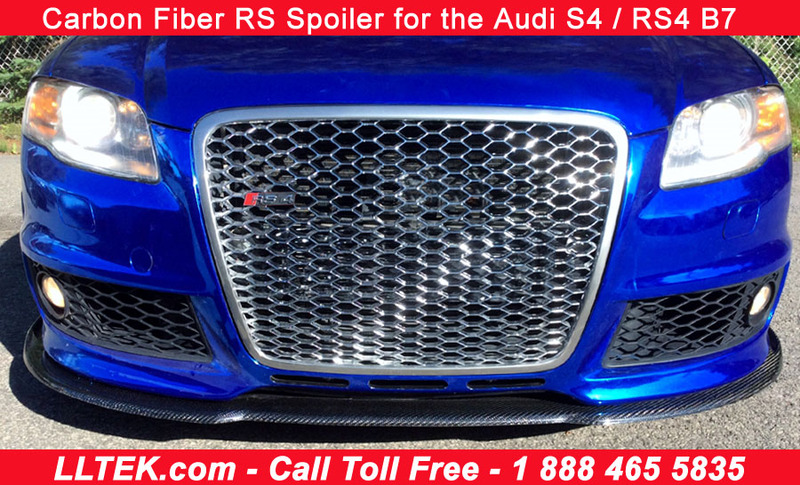 Speak with an Audi expert and get the answers to your questions. LLTeK business hours are 8:30 AM - 5:00 PM EST (GMT -5:00) - or contact LLTeK via e-mail. International callers can reach LLTeK by phone at 001 514 733 6333. 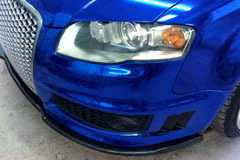 LLTek has a carbon fiber roof spoiler for your Audi A4 B7 sedan. This item is just in and waiting for your call - lightweight, clearcoated and ready to install. a friendly and knowledgeable LLTeK Rep will answer your questions.